Our guidelines will help to protect your gems from discoloration and chipping. Gems have different Hardness's on the Mohs scale of hardness.Sapphires hardness is 9 and Quartz (Amethysts, Citrines, Agates) is 7. If gems of different hardness are placed together, the harder gems will scrape or chip the the gems with a lower hardness.It is important to keep them separately. 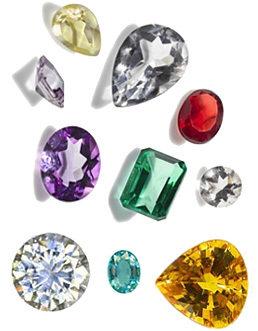 Some gems have a property termed as "Cleavage".If the gem is subject to pressure like a fall or rubbing against each other or another gem, they can chip easily despite of their hardness, example Diamonds and Topazes.They " Fracture" in certain directions. To enhance the colour, gemstones are subjected to irradiation (White topaz changed to blue).It is best not to expose these gems to direct heat as they often undergo a unpleasant colour change. Pearls and corals are not categorized as gems,but considered as " Fine" Gem Material.They are organic and and have a very low hardness.To preserve them, occasionally wash with lukewarm soapy water, rinse and dry with a soft cloth.They must not be exposed to direct light. To further protect them, keep them in soft cotton bags and not plastic ones. The beautiful grayish white sheen of Silver has been coveted through generations for personal adornment. Silver is known for its durability and strength.It is also used in Dentistry. Due to its sensitivity, it tends to tarnish easily when it comes in contact with sweat, perfumes, chlorine and other impurities in the air. 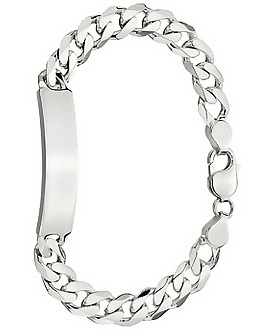 Silver jewellery is often rodium plated or silver plated. This delays the tarnishing for a short period but is not a permanent solution. Below are some home remedies which help remove the tarnishing. Wash it regularly with warm soapy water. Silver can be washed also with hot water in which a detergent like Fab or Bubble is added. Brush gently with a old soft toothbrush. Be careful not to scratch the metal. Silver can be immersed for 10 to 15 mins in hot water in which Bicarbonate of soda along with some detergent like Fab is added. Rub the silver with a soft brush. Care must be taken not to scratch the silver or gem. Rinse and dry. If available silver cleaning liquids and cloths can be used. When cleaning larger ornaments,use Silvo and rub with a soft brush removing all the the liquid. For gem studded jewellery,please follow instructions on how to protect your gems.